The U.S. Department of Commerce has decided to slap up to 75 percent tariffs on some South Korean steel pipes. 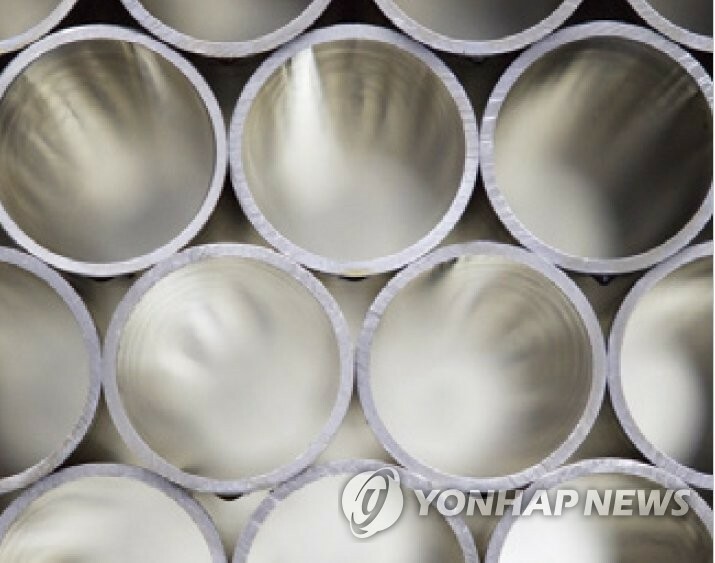 The department announced the final results of an administrative review of the antidumping duty order on South Korean oil country tubular goods for the 2015-2016 period on Thursday. According to the steel industry on Friday, it imposed antidumping tariffs of 75-point-81 percent on Nexteel and six-point-75 percent on Seah Steel and other Korean steelmakers. Tariffs for Nexteel are 29-point-44 percentage points higher than the preliminary results. The antidumping tariffs on Nexteel effectively cancel the U.S. decision last month to exclude South Korea from a 25 percent tariff on steel products in return for setting a quota.